If you’ve been resisting the trends, it’s time to face the facts. Social media influencers are reshaping the digital landscape. In 2019, online personalities are ingrained in our society’s internet culture and daily lives. We don’t just watch top influencer’s Instagram stories and like their photos – we listen, engage, and take action. But, users aren’t following everyone. What sets apart the characters that influence change and drive our economy and the profiles that fall off the radar? The answer is simple: crystal clear branding. The world’s top social media influencers have not only changed the game of online reputation but set the new industry standard for a sharply defined brand. Each year, our society’s reliance on social media is growing. There are over 3 billion people using social media and that number is increasing every year. As a culture, our focus is shifting from the traditional blanket entertainment model to more individualized content experiences. Social media allows us to follow the topics – and the people – that interest us the most. According to a recent study by Nielson, television viewing among 18-24-year-olds is declining by 9.5% every year. That viewership isn’t disappearing – it is moving to the internet. Variety reports that 8 out of 10 of the most influential personalities among teens are YouTube stars. Leaders on social platforms like Youtube, Instagram, Twitter, Facebook, and Snapchat aren’t just entertaining us. They are affecting the economy. Research by Kinsey found that marketing induced consumer-to-consumer word-of-mouth generates twice the sales of paid advertising. But, not all influencer word-of-mouth buzz is created equal. Reputation Control Inc took a look at what the world’s top social media influencers have in common and how they built their game-changing brands. 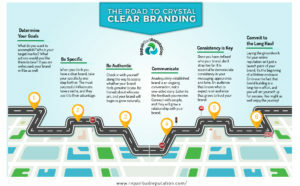 What Defines Crystal Clear Branding? If you take a look at social media’s top influencers, such as Hudda Katan, Amanda Cerny, Marcus Butler, Kayla Itsines, and Zach King, they have one thing in common despite their apparent differences. The most successful influencers have found a specific niche and fully embraced their brand. High engagement micro influencers, who also hold power in the market with an actively responsive audience, are heeding the same model. The bottom line – personal branding is not just for social media stars. Whether you’re the CEO of a startup, aspiring to be an entertainer, or selling knitted beanies online, you can learn something about sharp branding by following the lead of these internet moguls. You can’t fake it when building a brand. There is nothing more personal than your identity, so you must check in with yourself along the way to assess whether the content you are creating feels genuine to you. Be honest about who you are, and your brand will begin to grow naturally. Inauthenticity is a turn-off, so successful influencers are changing the conversation. “We all strive for vulnerability, and personally, I look for people to follow that just feel genuine, much like how I would choose my friends. I think pushing past fear and opening up to your viewers is important,” says Brooke. An adequately established brand is an ongoing conversation, not a one-sided story. In the process of building your brand, it is essential to listen to the feedback you receive. If you connect with people, and they will grow a relationship with your brand. But building a community takes work. Once you have defined who your brand, don’t stray too far. As a brand, it is essential to demonstrate consistency in your messaging, appearance, and tone. An audience that knows what to expect is an audience that grows to trust your brand. But, for your audience to trust your authenticity, your identity must be present and consistent across networks. 6. Commit to the Long Haul. It is vital to understand that laying the groundwork for your online reputation isn’t just a launch point for your business. 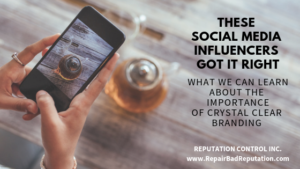 The top social media influencers have embraced the fact that clear branding and reputation are lifelong endeavors. If you think of branding as a part of your core self, implementing your brand into your daily routine will come naturally. “Remember, your personal brand connects all parts of your life. You always want to communicate your core value and distinguish those attributes that make you shine!” June explains.